February 28th. People across the country gorging themselves on glorious, glorious pancakes. It was also the day before my Mum’s birthday – happy birthday Mum! But there are more reasons to celebrate. Colours. Flags. Glitter. Music. 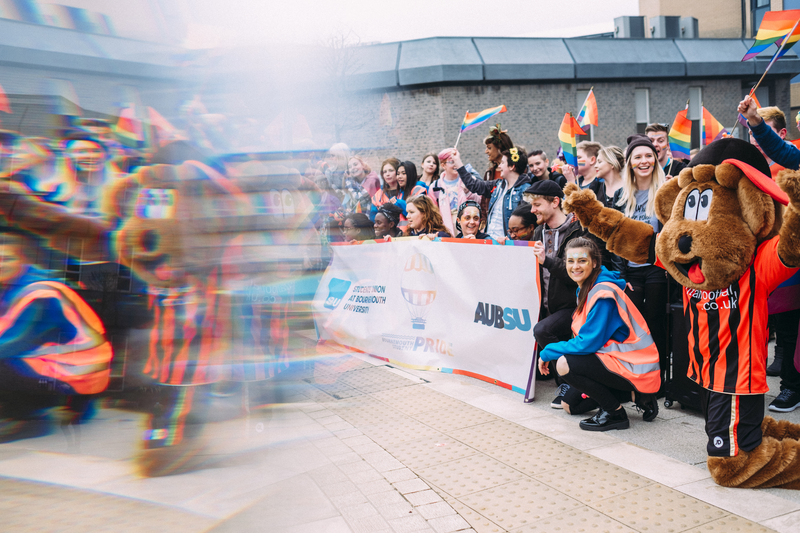 It was AUB and BU’s second annual LGBT+ student pride event, celebrating our diverse community, and the power we have to love and accept ourselves and one another. The event involved a colourful parade, a live stage, a sports zone, BBQ, and market stall, followed by the afterparty Cirque du So-GAY. Best of all, the crowd was full of smiling faces. The festivities marked the conclusion to the 3rd National Festival of LGBT+ history, which AUB and BU celebrated with OUTing the Past, an event brought to us by AFC Bournemouth and Schools OUT UK, where talks were given by guests such as LGBT+ rights activist Linda Bellos OBE, and AFC Bournemouth photographer Sophie Cook, who happens to be the first openly transgender employee of a Premier League football team. AFC Bournemouth is also the first Premier League football team to sponsor and support LGBT+ events, and have been wearing rainbow laces in their matches as part of the Football V. Homophobia campaign. The club say that “in the past few months polls have shown that whilst football fans would be more accepting than ever of a gay player in their team, as many as 72 percent of football fans have heard homophobic abuse at football matches”. We know that this sort of hatred is unacceptable, and AUB is proud to be a safe place for everyone, regardless of their identity. Pride is not just a celebration of gay members of our community; we can’t all fit into neat little categories. Sexuality is fluid. Gender is a spectrum. Whatever label you identify with, or if you don’t identify with any at all, we are all part of the same community. Whoever you are, whoever you love, you are welcome here. 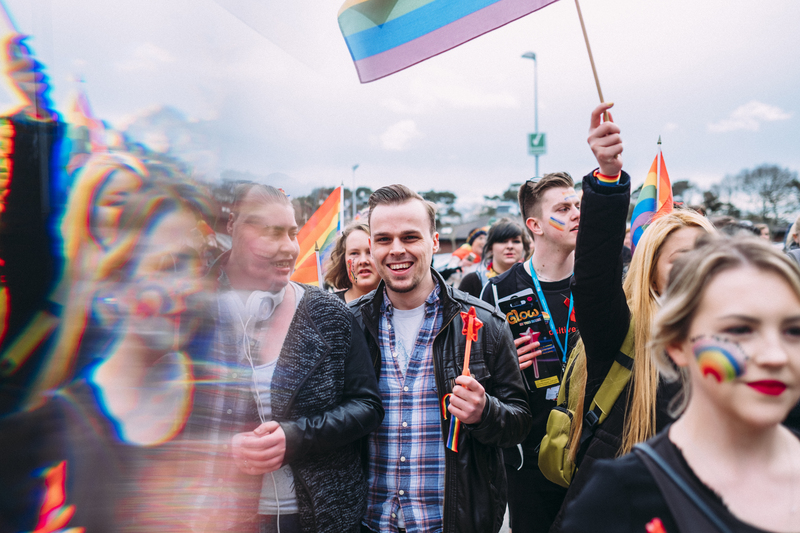 For many people, coming to university is the first time that you have your own independence, and the opportunity to really learn about yourself and be free to be who you are, knowing that you will still be safe and loved. If you are struggling with your own identity, you can always have a chat with the lovely people at Student Support knowing that you can speak openly in a place that will be free of judgement. There are also places locally you can go, such as the Space Youth Project, and you can support the community through charities like Stonewall. Personally, my sexuality is something of an unspoken topic, and I must admit I was quite nervous to check out the pride events yesterday. I’ve never really made a big deal of it or thrown myself into the scene. I am very shy and introverted, and after years of severe homophobic bullying at school, every fibre of my being tells me not to be loud, proud, or stand out from the crowd, despite being completely comfortable with my own identity. Once the rainbow laces, bracelet and face paint was on, there was no hiding. It’s not that I’m in the closet, but I’m not exactly out either. Well, I guess I am now. Sorry mum. At the end of the day, if you can’t love yourself, how in the hell are you going to love somebody else?